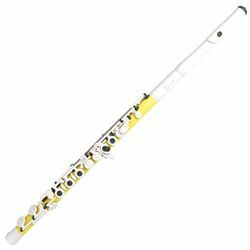 The Guo Tocco Plus series of flutes is perfect for high school students who need a backup instrument for marching band. Because of the high polymer plastic construction, these flutes are unaffected by weather conditions. Let your school spirit shine with one of these wonderful and colorful flutes from Guo.